2 guitars, piano, bass, drums, 2 percussionists, singers. If a composition has a raggedy opening, please give it time, then start the piece over. Playing a solo with the Umano Orchestra big band at Symphony Space in 1981. Photo by Lorry Gambino. In March of 1968, three months after arriving in New York City, I held my first demo recording session at Nola Studios in the Steinway Building on 57th St. I was 25. I used Jim DeSalvo on piano, the late, great Harry Shields on trombone, plus a bassist and drummer whose names I can’t remember. We all had never met before as a group, and therefore had never rehearsed before this recording. I had known Harry Shields for about a month and had only played with him once. Bob arranged for us to have a one-hour session, enough time for one cold run-through and one take of each tune. We recorded my compositions “Kim’s in Town” (I played flute on this ballad I wrote while I was playing in Cleveland on the day Kim was born in Trenton) and “Michael’s Cichael, written for my youngest son.” I played alto sax on this tune. 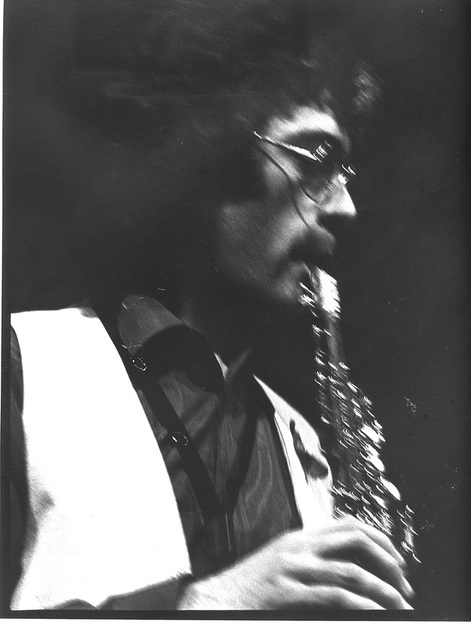 Both songs were laced with chord progressions I created during lessons with the great Phil Woods. There are a few errors on the recordings, but there was no time to correct them. Instead I view this effort with affection, because it was my first opportunity to record with New York musicians, and a chance to gauge just how much hard work I had to do to live up to this great city's musical standards. I had also written a tune called “Marc Time," but, since I experimented with 5/4 in writing it, we didn’t have time to rehearse and record it. I lost my only paper copy of that tune later and I couldn’t remember how it sounded. I kvetch over that loss to this day. Many composers regard their compositions as their “children.” In this case, these tunes were my “children” about my children. Hah!